South Lake Tahoe (SLT) is a little town right on the border of California and Nevada. 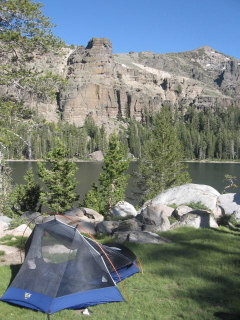 It sits on the south shores of beautiful Lake Tahoe ( the second deepest lake in the USA ). Lake Tahoe is known for its clarity of water and the panoramic view of the mountain ranges that circle this amazing lake. The 1960 Winter Olympics were held on the northern part of the lake at Squaw Valley ski resort. This brought in a lot of new development and made this area what it is today. 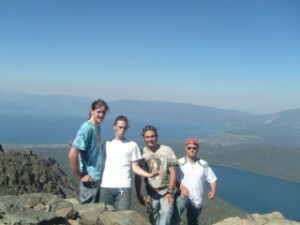 Zach, Me, Chris, and Pete on top of Mt. Tallac. Lake Tahoe is the lake on the left and Fallen Leaf Lake on the right. Most people just associate SLT with the winter though. It is true that SLT does have some of the best slopes to ride in all the country but there is also an abundance of things to keep you active in the summer season here. A lot of people will spend the day at one of the lake’s many beaches like Kiva, Pope, or Zephyer Cove. You can rent a kayak, boat, jet ski, or go parasailing and spend some time on the water. Or you can rent a bicycle at one of the many rental shops and travel the bike path that takes you from the casinos in Nevada all the way to Emerald Bay on the other side of Lake Tahoe. The bike path takes you through some amazing scenery, is kept in great shape, and can take you anywhere. 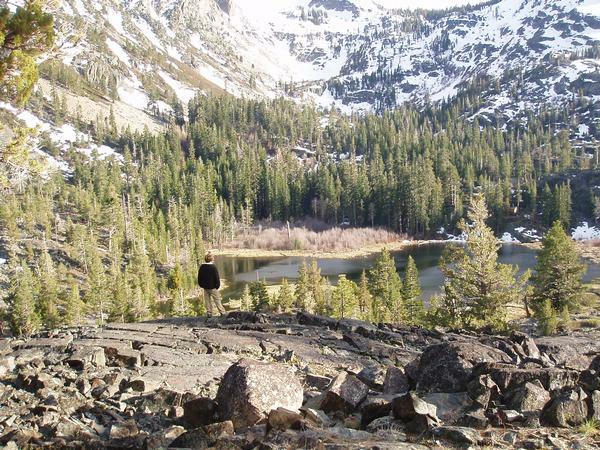 There is also a lot of mountain trails in Tahoe if you want to get off the beaten path. Most hiking trails allow bikes but you should always check first. South Lake Tahoe is just a small part of beautiful Northern California and there is also plenty of cool places to see within a few hours drive. You can go to Carson City, NV in 45 minutes, Reno, NV in 1 hour, Sacramento, CA in 1 hour, Yosemite in 1 hour, San Francisco in 3 hours, Big Sur in 4 hours, and the drive to any of these places can be an amazing experience too. 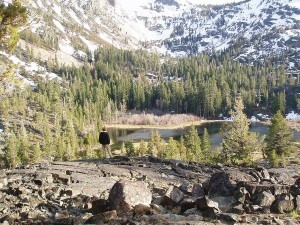 This entry was posted in Blog and tagged California, My Seasonal Jobs, South Lake Tahoe by Dallas. Bookmark the permalink. I appreciate the previous cool entry.